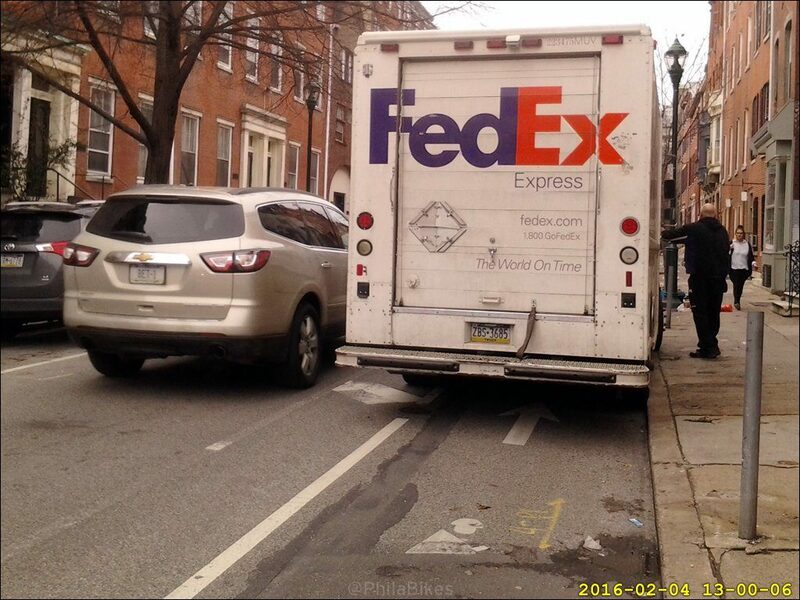 According to statistics provided by the Philadelphia Parking Authority, tickets for motor vehicles illegally blocking bike lanes rose about 120 percent between 2014 and 2015. And on average, tickets have risen between 2015 and 2016, as well. 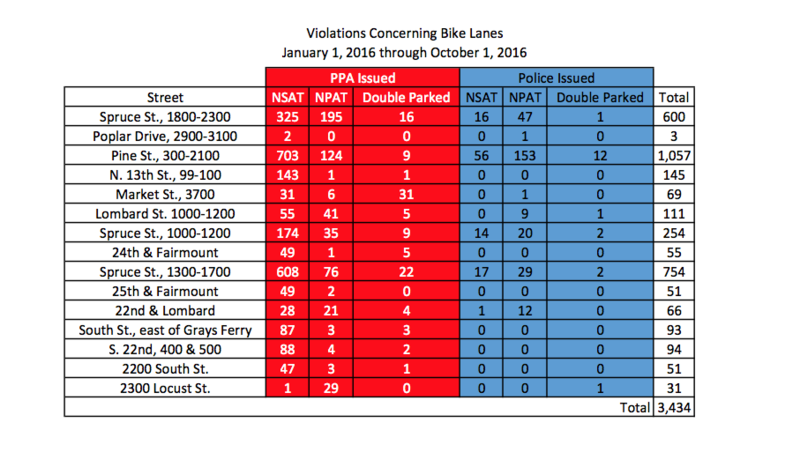 Most 2015 tickets written by Philadelphia Parking Authority and Philadelphia Police Department officers were on the 300-2100 blocks of Pine Street. But many tickets were also written on Spruce Street, and North 13th Street—all of which are problem areas we regularly hear about from our constituents. For 2016, drivers on Spruce and Pine are still the biggest culprits, although officers are additionally ticketing heavily on the 3700 block of Market Street and South 22nd Street. There has been an average of 381 tickets written per month for vehicles obstructing cyclists’ paths in 2016, rising from 358 per month in 2015. As I wrote in Philly Metro earlier this week, motor vehicles—especially delivery vans and trucks—are seen as the biggest hindrance for everyone’s mobility in Center City, according to a Center City District report. Blocking bike lanes forces cyclists to veer out into traffic and puts more lives in danger for the sake of convenience. We are happy to hear the PPA and PPD have been giving out more tickets to motor vehicle users who put cyclists’ lives in danger by obstructing their paths. But there is, of course, room for improvement. For anyone who rides on any of these pathways (I regularly use North 13th Street to get home, and it’s regularly blocked by FedEx vans between Race Street and the Vine Street expressway), we know more tickets can be handed out. Why not put up bolsters? Sure they will get hit by people who love driving their car into them (see pedestrian crossing sign issue on n 2nd at the piazza…. Nee shmidts commons by the crosswalks.